You maybe able to fix your air conditioner on your own. 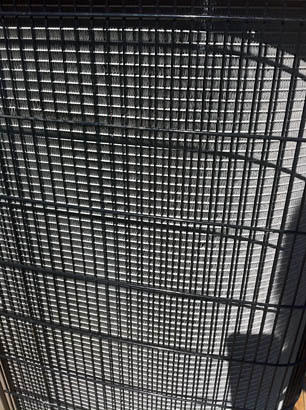 Here are some things to consider before you call an air conditioning repairman to insure you don't get an $80 or $100 charge for a minor item. 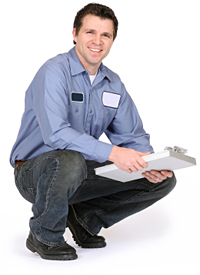 These are all simple steps that any homeowner can take to discover and repair a minor A/C problem that is keeping your system from cooling. The first thing you may want to do is click on Air Conditioning, this will show you how the air conditioning system works and identify all the different components. This troubleshooting guide is for split systems only (indoor unit and separate outdoor unit). This is not for package units (one piece outside the house or on the roof). Check the thermostat to make sure it has power to it; most new digital thermostats will be completely blank if there is no power to them. If the thermostat is blank or if your thermostat has batteries go to the furnace or the fan coil and unplug it for a few minutes and then plug it back in. In some cases this will re-set the system and you will be back cooling again. If your unit is a fan coil it might be hard wired in this case just flip the circuit breaker on and off or pull the handle on the disconnect to the off and then back to the on position. If this does not work look at the drain pan under the cooling coil. If this is completely full of water then the overflow switch may have cut the power to the unit to prevent water damage to your house. To fix this problem you will have to unplug the emergency drain line, which is a white plastic pipe that usually runs outside by the side of the house. Not all air conditioning units have overflow switches, if yours does not then go to next step. 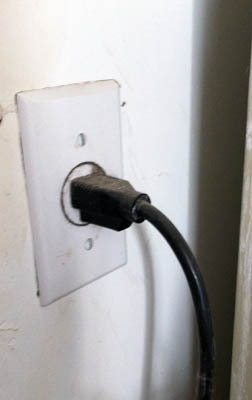 Unplug the furnace from the wall socket and plug in a lamp. If you have a fan coil you cannot do this since the circuit is 230 volts. 230 volts is high voltage and only an experienced person should check to see if there is voltage to the fan coil using a volt meter. If the lamp will not turn on you have no power to the indoor unit, check all the circuit breakers, turning them off and on until the lamp turns on. If the light was off and now is on then this should fix the problem. Plug the furnace back in and if there is power to the thermostat than make sure the cooling temperature desired is set below the room temperature. It may take 4 to 5 minutes before the thermostat calls for cooling because of internal time delays. Your thermostat may have a green light that comes on when it is calling for cooling or display that says cooling. 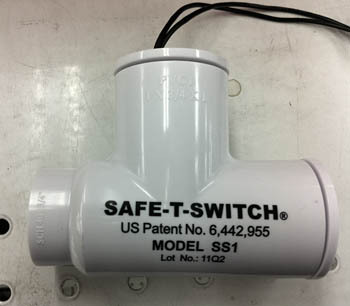 If the air conditioning does not come on then try the fan switch to see if the fan comes on. If the fan comes on with the fan on switch and runs but there is no cooling than check for air flow coming out the supply air registers. If there is no air flow coming out the supply air registers but the fan is running then you probably have a clogged filter. Take the filter out and look at it, if it is completely dirty then leave it out for the time being and try to restart you air conditioning system. We would recommend unplugging the furnace or the fan coil for a few minutes, plugging them back in and trying to turn the system on from the thermostat again. If you take the filter out and restart the system and the air conditioning does not come on and you still have no air flow it is possible you have an iced up coil. You will need to let the ice melt off the coil and let it run into the drain pan. This will take several hours then try the system again. Running the fan only will defrost the coil quicker. If running fan, make sure the thermostat is not calling for cooling. 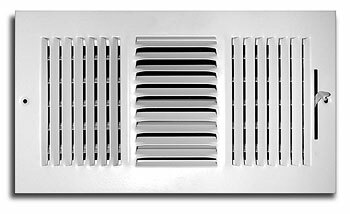 Check the return air grills air flow by putting a piece of notebook paper flat against the supply air registers. If the paper sticks flat against the grill you have air flow. If there is no air flow at the supply registers then you are most likely dumping air into the attic, wall or craw space. This means that probably you have flexible ducts in the walls, craw space and or attic and one of the ducts has come loose from its fitting. It is also possible that some small animal has chewed a hole in the flexible ductwork. Take duct tape and put the flexible duct back over its fitting and tape securely or if holes are in the duct use the duct tape to patch or replace with new flexible duct. It is also possible but less likely that you have metal ductwork that has come loose. The duct work can also be reconnected and duct taped together. Fan runs, thermostat is calling for cooling and good air flow coming out the vents but no cooling. Your problem is most likely with your outdoor unit. Check to see if the condenser fan is running and if you can hear the compressor running. If the compressor is running but the condenser fan is not running, turn the unit off immediately to keep from damaging the compressor. With the unit turned off, take a stick or other item that you can stick through the grill and give the fan blade a push. 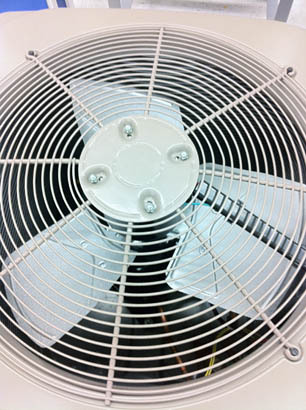 If the fan blade moves easily then you probably have a burned out condenser fan motor. If the fan blade moves but is very difficult to turn you may have a bad bearing and you may be able to spray some WD40 on the bearing through the grill and this may get you going for a short period until you can get a technician to replace the fan motor. Also make sure the fan blade is not scraping on something, this might be also temporarily repaired by bending the blade to where it doesn't scrape on the item again. If neither the compressor or the fan motor turn and there is no sound at all coming from the outdoor unit you could have simply a tripped circuit breaker or a blown fuse. 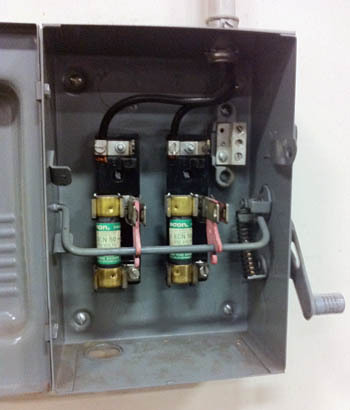 For a circuit breaker just flip the circuit breaker back and forth that controls the outdoor unit. If it is the fuse you actually need to turn off the breaker box, flip the circuit breaker to the outdoor unit to off and pull out the fuses (caution the fuse box has high voltage 230 volts which is very dangerous only a qualified electrician or HVAC technician should pull out the fuses) and test them with a continuity checker/volt meter or simply take the fuses to Home Depot and buy new fuses, replace the old fuses and see if when you turn the circuit breaker back on and you turn the thermostat on if the unit starts to run again. If you have checked power to the condensing unit (flipped circuits & checked fuses) and unit still does not run you may be locked out on a high pressure limit. This can be caused by several things but one thing that can cause this is a dirty or clogged condenser coil. Turn the circuit breaker to the condensing unit off then take a broom and brush as much dirt, grass and leaves as you can from the coil. Then take a water hose and wash off the coil. This not only cleans the coil but lowers the temperature of the coil so the high pressure switch reconnects the circuit. After cleaning the condenser coil turn the circuit breaker to the unit back on. Then go to the thermostat and turn to off and then back to cooling. If the problem is high pressure then your unit should start running again. If you want to make sure your air conditioning unit does not fail unexpectedly in the future you should have your air-condition contractor install a ColorTouch programmable wifi thermostat. This thermostat can monitor your air-conditioning & heating equipment to insure that it is running efficiently and can even tell the contractor the health of the equipment and if it is starting to fail. You can also completely control the thermostat in your house by smart phone, i-pad, or computer from anywhere in the world. 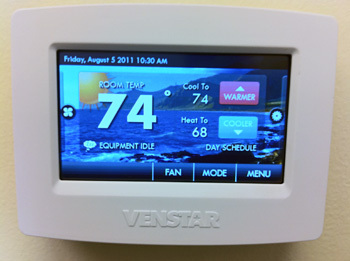 Click here to see more information on the colortouch thermostat.